Catherine Behringer has been in the Property Management arena for over 20 years with direct experience in the Southern California, Northern California and Denver markets. 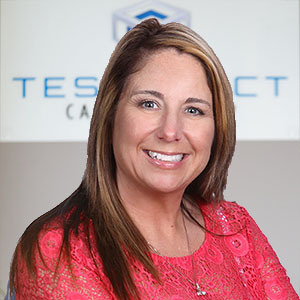 Prior to joining Tesseract Capital Group as an Asset Manager, Catherine worked with FPI Management for three years as a Portfolio Manager in the Bay Area, supporting the TCG portfolio. Catherine previously worked with Camden Property Trust, Archstone Communities, Western National Group and Irvine Apartment Communities including overseeing a $400M asset in Orange County, California. Catherine currently sits on the California Apartment Association Tri-County Advisory Board, participating in three additional sub-committees including Legal Action, Property Management Policies and Rent Control Policies and she is also a Director on the Rental Housing Association of Southern Alameda County Board. Catherine has experience with HUD, Tax Credit, Section 8 Housing and multiple Rent Control ordinances throughout the Bay Area.